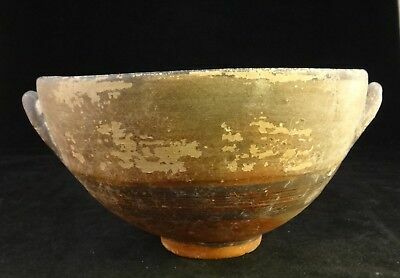 Seller: owamlw (2,699) 99.8%, Location: Carmel by the Sea, California, Ships to: Worldwide, Item: 123685690834 Normal 0 false false false EN-US X-NONE X-NONE Ancient Cypriot Pottery Bowl with handles & red slip along with painted ring bands. 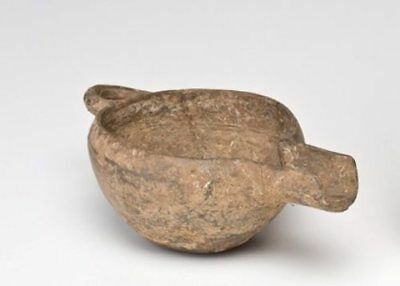 c. 800-600 B.C.E. 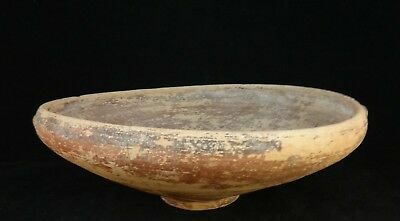 Measures 4 3/8” tall and 8 ½” wide. Overall good condition for age. There is weir and scratches especially on the rim. Two larger chip on one side rim. Please review photos to verify condition. 2555 For similar items, please click the above link to my e-Bay store. The photographs are an important part of the items condition. Please review to verify and email us with any questionsCombine items for possible shipping cost reduction. Please e-mail us to determine cost and wait for a revised Invoice before paying.It's illegal to falsify customs declarations; we represent the value of the item (closing price) accurately on customs forms and will not mark an item as a "gift" in order to avoid customs fees Condition: Overall good condition for age. There is weir and scratches especially on the rim. Two larger chip on one side rim. Please review photos to verify condition. Seller - 2,699+ items sold. 0.2% negative feedback. Great seller with very good positive feedback and over 50 ratings. 2,699+ items sold. 0.2% negative feedback. Great seller with very good positive feedback and over 50 ratings. Ancient Cypriot pottery bowl, 2200 - 1650 BCE. One handle, 6 ¾” dia. 4” tall. 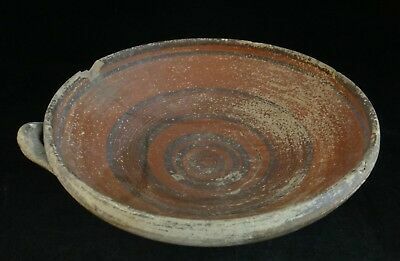 Ancient Cypriot pottery bowl w/red slip glaze & rings. 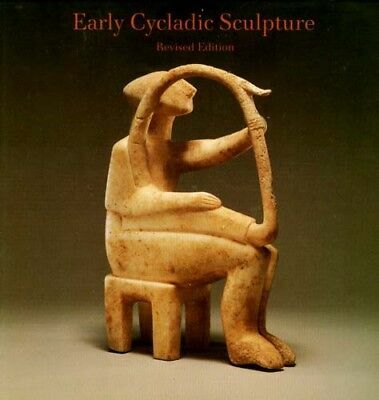 1800 - 1200 BCE. 9” dia. 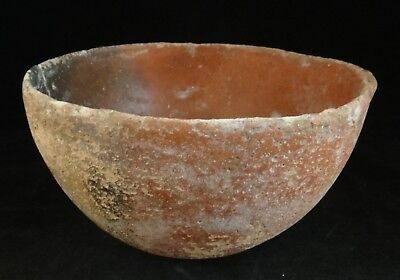 Ancient Cypriot Pottery Footed/Handled Bowl,painted rings,c.800-600 B.C. - 10.5"